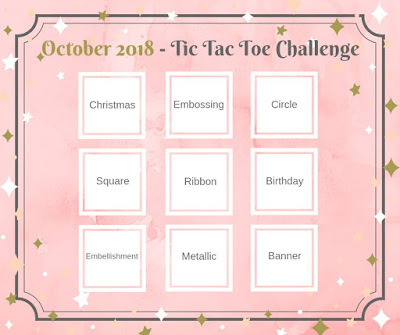 Week 12 on the CASE challenge was my turn to share my suggested inspiration, this time I chose our Australian Demonstrator colleague Kylie Betucci with her wonderful 'Love It, Chop It' series. I was lucky to meet Kylie in person in July on our Alaskan Incentive trip of a lifetime. This last week, she shared how to incorporate using our 6" DSP and Envelope Punchboard to make notecards with Memories & More cards. 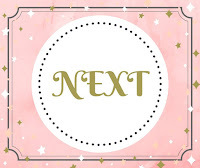 Fabulous inspiration and I was really looking forward to creating todays project to share with you. You can find Kylie's blog post HERE. 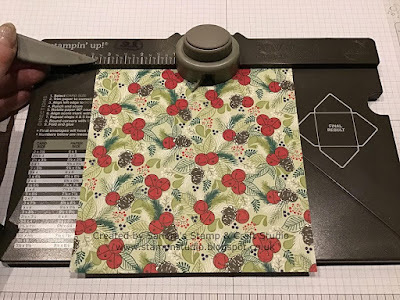 I love my Envelope Punchboard and customers also love the wide variety of projects you can make with just one piece of equipment that is really affordable to everyone. 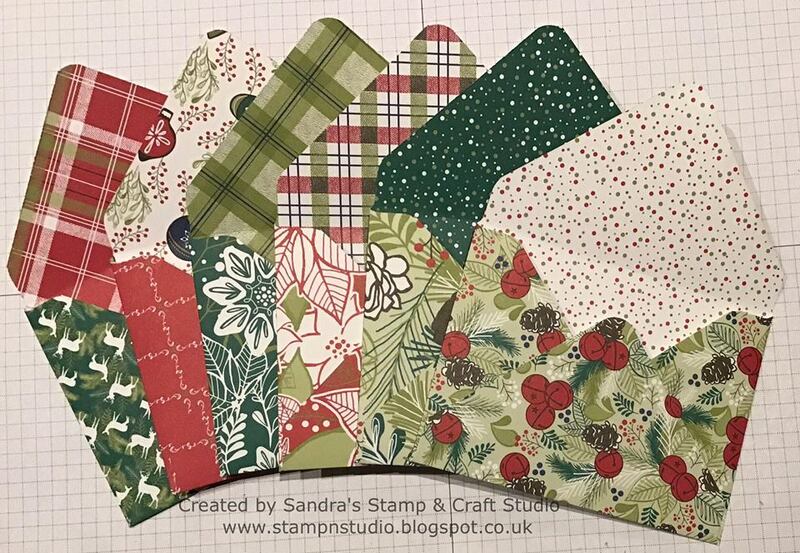 To create the mini envelopes, I cut one sheet of each Under The Mistletoe 12" Designer Series Papers #146921 and cut to 6" square. Line up on the 3-3/8" mark as shown above, punch and score. Turn a quarter turn and line up the score line with the marker as indicated in photo above. Punch and score again. Repeat until all four sides have been punched and scored, each time lining up on the marker not the ruler measurement. Insert each point of your envelope in the BACK of the Envelope Punch Board an punch. 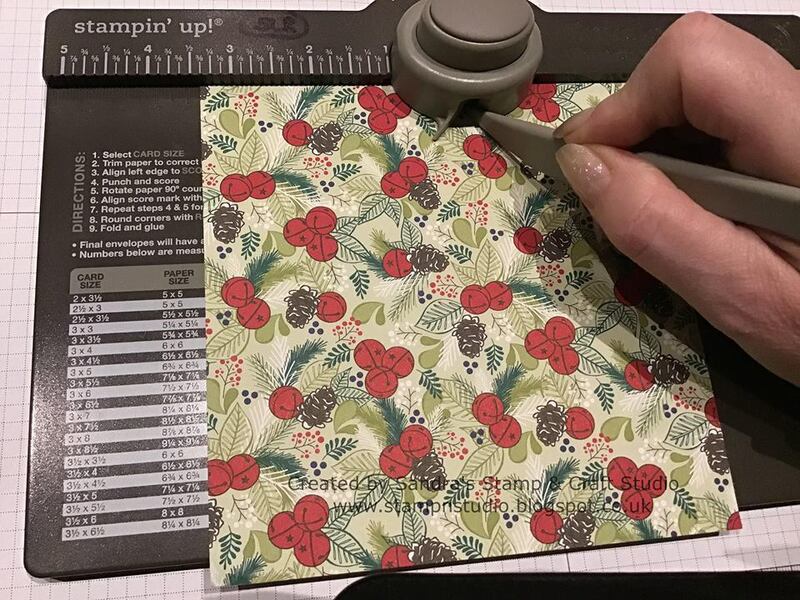 Using Tombow adhesive #110755, attach two sides and the bottom to form your envelope. I love show-casing our Designer Series Papers this way, as you can see all 12 designs simply looking at the inside and outside of the envelopes. 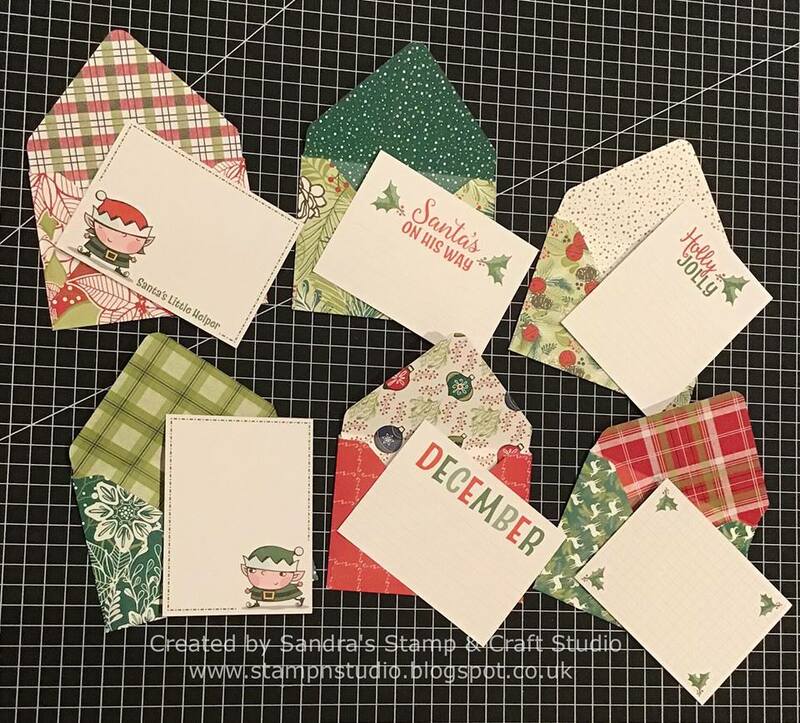 Here I teamed up each mini envelope with the Santa's Workshop Memories & More card pack #147905. The colours don't match exactly but certainly compliment very nicely. 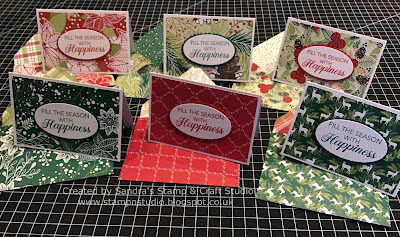 Taking our challenge one stage further, I cut six 14cm x 10cm mini cards from Thick White card and scored at the 7cm mark. 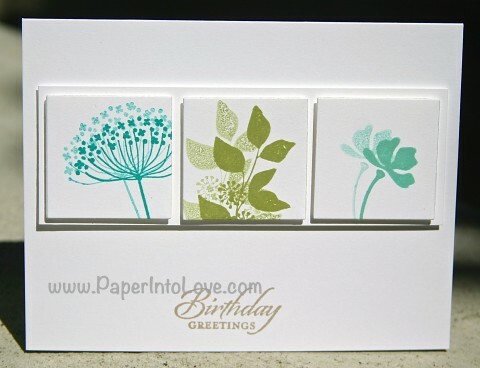 Each mini card was decorated with a coordinating 9.5cm x 6.5cm piece of Designer Series Paper. 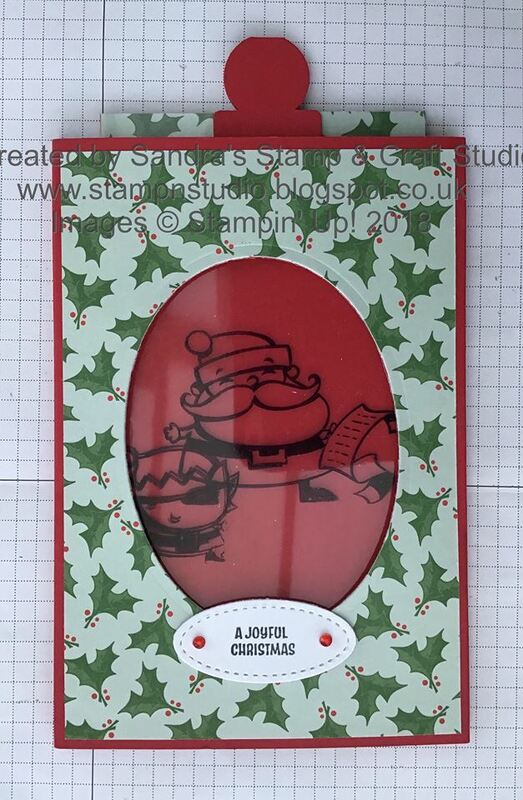 A sentiment from Peaceful Noel #147694 was stamped in Real Red or Shaded Spruce ink onto Thick White card. Both these, and scallop ovals in each of the two colours, were cut using Layering Ovals Framelits #141706. Mat sentiment and scallop coloured oval together and attach to the centre of mini cards using 3D Stampin' Dimensionals. I hope you have enjoyed my project today. 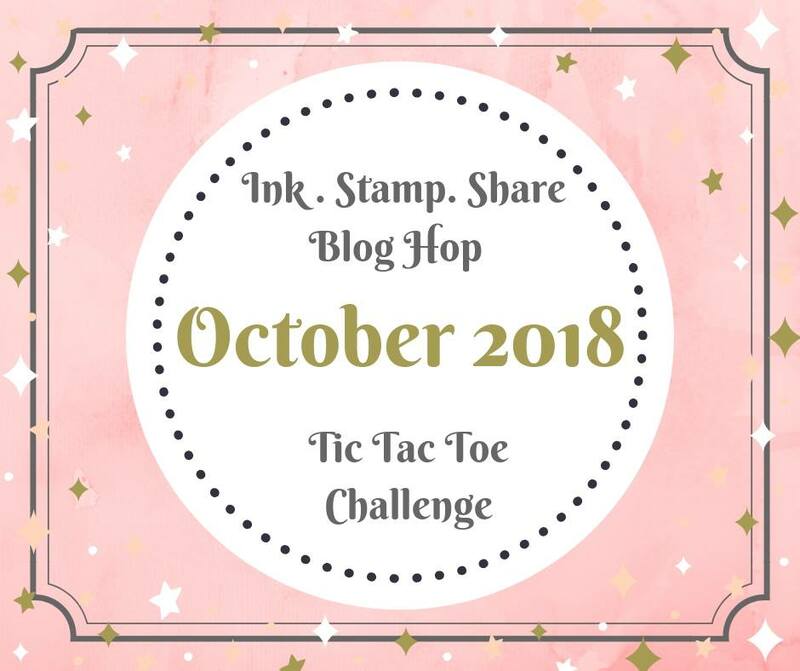 Remember to pop over and visit Becki HERE and then on to Emma HERE and see their take on today's challenge. 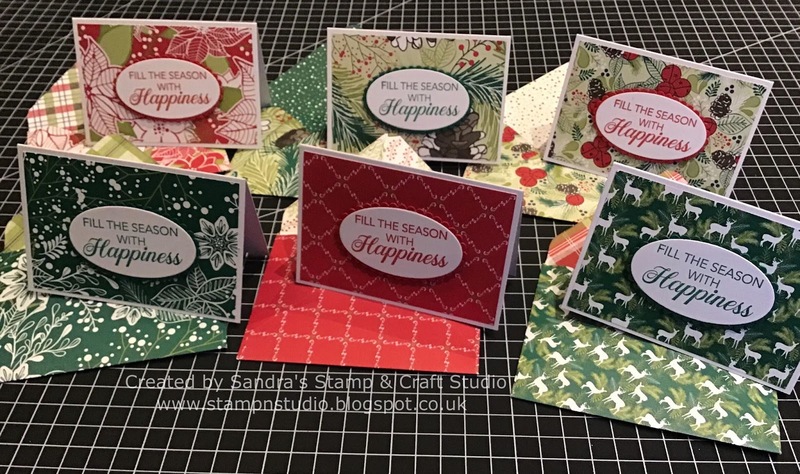 Next week we will be creating our inspiration from Julia Carmichael and her stamping-off technique. You can see Julia's blog HERE. I love this style of card and am looking forward to creating one this week to share with you. 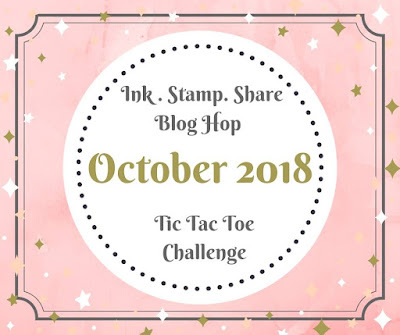 If you would like to join in this challenge, feel free to CASE Becky's card, take a photo and email me or upload to my Sandra's Stamp & Craft Studio Facebook page. I can't wait to see all the different versions we create together. We’ll share the photos we receive in next Monday’s post. 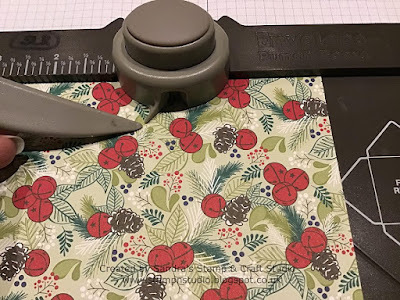 Welcome back to our Ink, Stamp & Share Blog hop, joining myself here in Norfolk, UK, and other fellow Demonstrator colleagues around the Globe. Today we are all choosing to work on a 'Tic, Tac, Toe' challenge or here in the UK, like our noughts & crosses game. Everyone participating today will be creating a project using one line in any direction, from the board below. 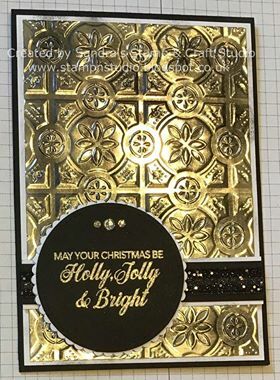 I have decided to do go straight down the centre, using Embossing, Ribbon and Metallic. I layered Whisper White onto a Basic Black card base. The Silver Foil #132178 was embossed with the Tin Tile Dynamic Textured Impressions Embossing Folder #147906. Doesn't that look so gorgeous ? I sponged some Jet Black Stazon #101406 to make it look a bit distressed. Next a strip of Whisper White and Basic Black were matted together and wrapped with Black 3/8" Glittered Organdy Ribbon #147897. First time I have used this ribbon and happy that it's great not just for 'Halloween' projects! 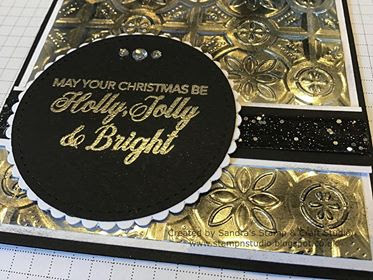 Sentiment from Peaceful Noel #147694 was stamped with Versamark #102283 onto Basic Black card and covered with Silver Stampin' Embossing Powder #109131 heating with the Heat Tool #129054. The Basic Black and a Whisper White scallop were die cut with the Layering Circles Framelits #141705 and finally three Clear Rhinestones #144220 were added for some 'bling'. I hope you've enjoyed your stop here with me today and hope to see you back here again soon. 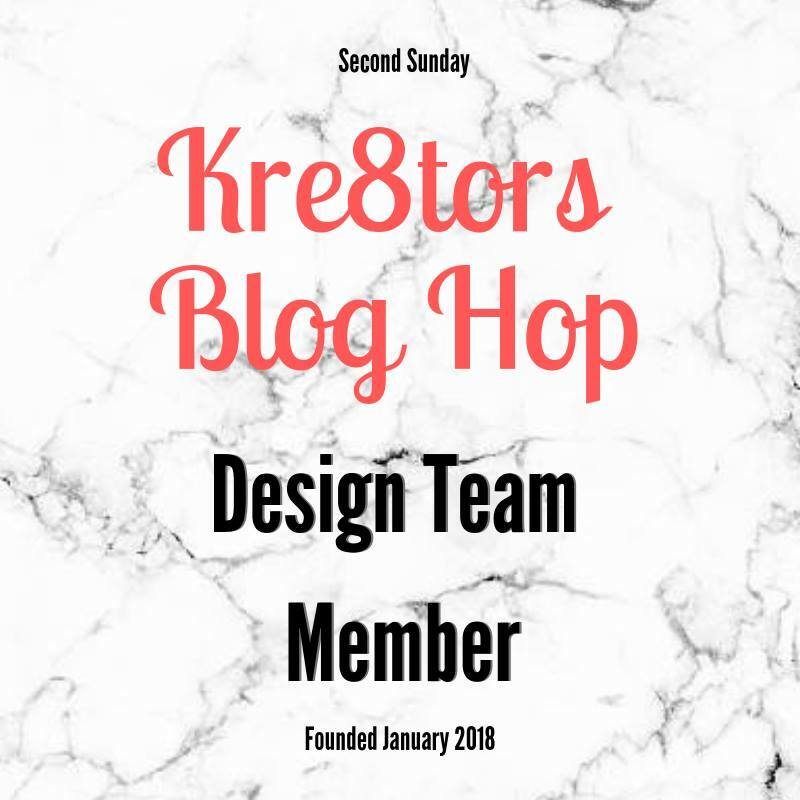 have fun hopping round the rest of today's participants and the lovely variety of projects they have to share with you today. Week 11 on the CASE challenge is inspired by our Demonstrator colleague Becky Christensen with her Magic card. 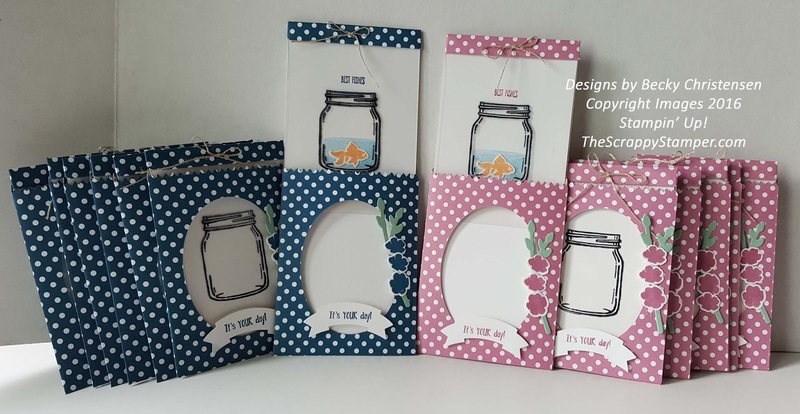 I love this style of work and was so looking forward to creating todays project. You can find her blog HERE. 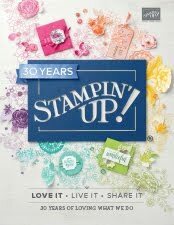 I am so grateful to my fellow stampers today for choosing Becky's inspiration. This is the first 'magic card' I have made ! One slight little blooper but hope it's OK ! 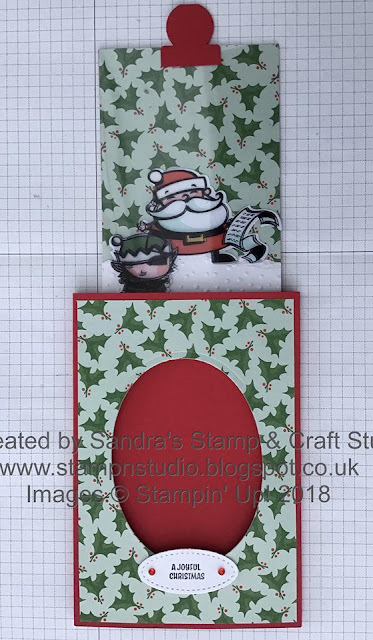 I've been working on some projects with the Santa's Workshop Speciality Designer Papers #147809 for my main 'big' Festive Retreat project. These papers have been soooooo popular and sadly were on backorder / low inventory recently, but so pleased they arrived in time ! Definitely one of my favourite suites in the Autumn/Winter catalogue 2018. The reverse of this holly paper contains a whole page of images that can be die cut using Santa's Signpost Framelits Dies #147911. Such a waste to use a piece for a card front, but sometimes needs must. 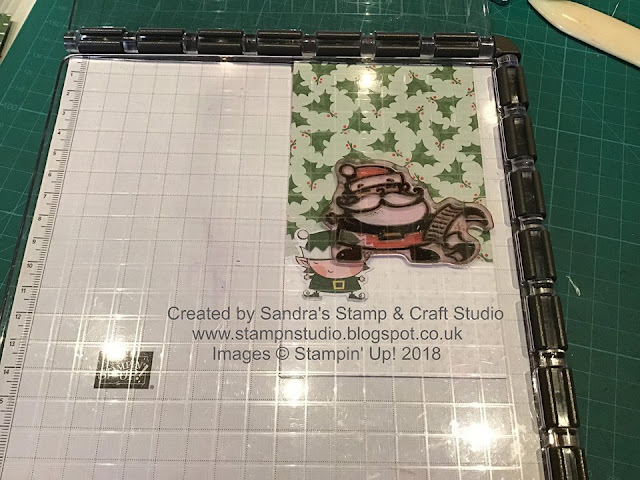 Having made my 'magic' hidden layer, I used our Stamparatus Tool #148187 to position the stamps on the acetate layer, before stamping with Stazon Jet Black Ink #101406. 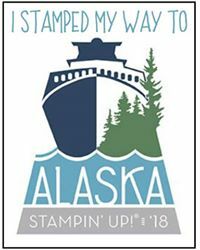 The Stamparatus made this so easy. Honestly, the more you use it, the more you will love it. I now have 10 to package up to their new homes from last weeks show. There's going to be some very happy customers in the next few days. I hope you have enjoyed my first 'magic card'. I'm sure there will be some more in the next few months to share with you. 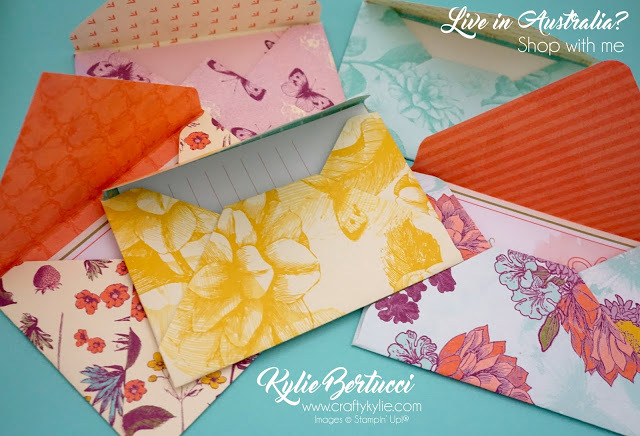 Next week we will be creating our inspiration from Kylie Betucci and her creations, making small envelopes from Designer Series Papers for use with Memories & More cards or other small notelets. You can see Kylie's blog HERE I love this style of card and am looking forward to creating one this week to share with you.